Studies and Texts 181. 2013. xii, 442 pp. This edition of twelve collections of grammar-school exercises makes available for the first time the majority of the material in the genre. 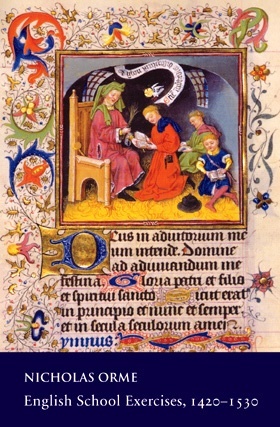 The exercises – sentences or short prose passages – illustrate the kind of Latin taught in schools at the end of the middle ages and show how schoolmasters went about teaching the language. Together, they also provide a new source for the social and cultural history of England in the century before the Reformation.